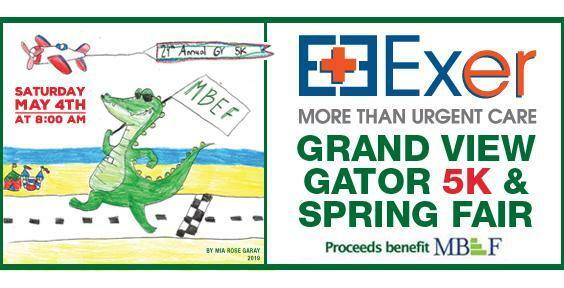 On Saturday, May 4th, the Grand View Gators are hosting their 24th annual Exer Urgent Care Gator Run. Proceeds from the run support MBEF, so not only is the race a fundraiser for all MBUSD schools, it’s also fun for the whole family! This is a wonderful community event that brings together serious runners, joyful joggers, and laid-back walkers. Register online or go to the Grand View Website for more information. 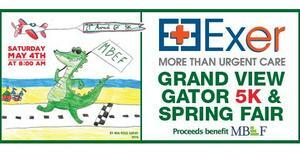 This event helps raise approximately $25,000 for MBEF. Part of the run goes through some of Pacific's streets and they are looking for volunteers to help cheer people on during the run. Please consider volunteering Click here to sign up.